Sarang Bhawalkar is a rising MBA2 interning at Reckitt Benckiser. Sarang is specializing in Marketing and Strategy and is the co-president of the Graduate Marketing Association, VP of Finance (Luxury and Retail Club), and VP of Social Events (OutClass). I cannot believe my summer internship is over already. The past ten weeks have flown by so quickly! I am currently on vacation and writing this from the comfort of my family home in Mumbai, India. This past year at Stern has been a crazy ride capped by my internship and it all has been worth it. Prior to Stern, I used to be a research scientist in the building materials industry and worked in product development for six years. I have a PhD in Polymer Science and it often takes people by surprise when I mention it. I was very good at what I did, but I was interested in working in a more fast-paced industry and in a consumer-facing brand manager role which made me decide to go to business school. Over the summer, I interned as an Assistant Brand Manager intern at Reckitt Benckiser and worked on a small personal care brand. My objective was to reposition the brand for the sports space and target serious and recreational athletes. I had to develop a go-to market strategy to relaunch the brand in 2019 and develop a three-year strategy to grow the brand through product innovation. Usually for bigger brands, interns get to work on one of three parts of the marketing strategy – Equity (Brand messaging and recognition), Activation (implementing brand interaction in the market) or Innovation (Product pipeline that serves to grow the brand). Since the brand I was working on was a much smaller brand, my project touched all three and gave me significant insight into different aspects of managing a brand. I also had to be very scrappy with research since we had a very small budget. I reached out to as many people as I could to do market research and conducted focus groups to understand the target consumer and their shopping habits. Doing all of this was very new to me, but I felt a certain excitement that I had never felt in any of my previous roles – a major indicator to me that this was something I was truly passionate about and it motivated me to do my job better. I had always heard about the hub and spoke model with brand managers being the center of the wheel with the different spokes representing the different functions, and this internship was no different. I had to lead several cross-functional meetings to get consensus on many key aspects of the brand such as distribution, P&L and claims. We also had limited R&D support, so I got to put on my old R&D hat on for developing an innovation strategy for the brand. Reckitt Benckiser has a very fast-paced and entrepreneurial culture, but I had the nicest manager who was very patient with me and helped me understand the business. Everyone that I spoke to always took the time to guide me and I never felt like I did not have the support that I needed. One of the coolest things I got to do was the change the packaging for the brand. I worked with a design agency and I had to give them a brief to come up with a design that would appeal to the new target consumer. After several iterations, we came up with a few design options that we tested on a consumer platform. This helped me make a recommendation for the new packaging. It will be very exciting to see a product on the shelf in 2019 that I helped design the packaging for. With other interns at a marketing offsite on a boat on the Hudson. In my essay for Stern, I was very clear that I wanted to be a brand manager and I am grateful that I got a chance to try it out for the summer. I really enjoyed it and I look forward to that being my full-time job after I graduate in 2019. However, a lot of students in my class are not completely sure that their summer internship was their calling, and they will explore other options in the Fall – which is perfectly okay. The internship is a two-way interview – both you and your employer are looking for a fit. If it doesn’t work out, you both move on. It is a great way to explore a different career path and I am glad to have found my calling through it. 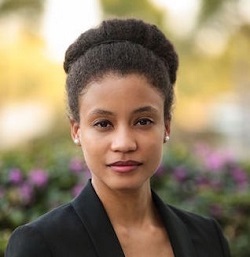 Catherine Charles is a rising MBA2 interning at Colgate-Palmolive. 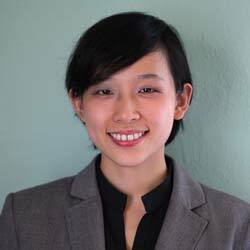 Catherine is specializing in Marketing, Business Analytics, and Product Management. She is VP of Corporate Relations for the Graduate Marketing Association, VP of Alumni Relations for the Association of Hispanic & Black Business Students, and VP of Alumni Relations for SGOV. With classes starting in less than 3 weeks, recruiting is likely top of mind for most first-year MBAs. Part of the MBA experience is not only adjusting to life as a student, but also as a job seeker who is looking to pivot to a new industry, function, and/or geography. Below are three tips (other than updating your resume) to help you prepare for the recruiting season before you arrive on campus. 1. Make a list of the skills you would like to build during your career. When you start school, you will be exposed to career paths that you didn’t know existed, and there will be a multitude of resources to learn even more about opportunities that interest you. Before your schedule is packed with attending corporate presentations and events, start reflecting on the capabilities you would like to develop over the course of your career and your areas of strength. Do you thrive in cross-functional roles or do you make the greatest impact as an individual contributor? Would you like to eventually manage several large teams within a firm or be responsible for external relationships? Knowing the answers to these types of questions can help you choose which function(s) offer the training ground for the skills you would like to hone. 2. Read, Read, and check out Youtube! Whether you already know your ideal internship or you are still figuring it out, read as much as you can. Find professional publications associated with the industries/functions that interest you and make it a habit to read those publications regularly. Google Alerts are also a great way to stay abreast of any trends that could be the subject of technical questions during an interview. In addition, many industries/functions have “must-read” books that can not only prepare you for interviews but give you the appropriate vocabulary to answer questions. To supplement all of your reading efforts, search for Youtube videos that showcase interviews of the top professionals in your chosen field and spend some time on the career page of companies you are interested in. The interviews typically include the best practices of thought leaders and the Youtube career pages of companies help illustrate the types of candidates a firm is looking to hire. There is no need to wait until you are on campus to start informational interviews. Leverage your network to reach out to individuals who are building the capabilities/skills you are interesting in developing. These initial informational interviews (also known as “Coffee Chats” in business school) before the semester starts will help you develop much more nuanced and insightful questions for the Coffee Chats you will have once you arrive on campus. The three tips outlined above are suggestions to help you ease into an exciting, albeit busy, aspect of the MBA experience. They will also help you stay focused when the prestige or “cool” factor of certain firms or roles begin to dominate your recruiting strategy. I wish you the best of luck. 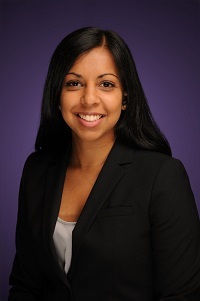 Richa Deshpande is a rising MBA2 interning at LOLI Beauty. 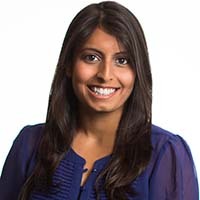 Richa is specializing in Marketing, Luxury Marketing and Management and is VP of Admissions (Luxury Retail club), VP of Events (Stern Chats), VP of SIFF (SISA). This summer I was a marketing intern at a personal care brand called LOLI Beauty. LOLI Beauty is a direct to consumer, ecommerce led superfood organic approach to skincare. I was particularly attracted to LOLI Beauty given its tech focus and plans to win in the direct to consumer space. Prior to Stern, I was a Management Consultant in Australia and whilst it was a great foundational start to my career, I wanted to transition into an industry (Beauty/Fashion) which was more personally relevant to me and a function which was more customer focused (Marketing). Therefore, I knew coming into business school, my recruiting would be non-traditional. In addition, as an international student, finding fashion/beauty companies willing to sponsor was a little more difficult. Whilst not always easy, knowing what I know now, I have absolutely no regrets about my decision to come to Stern and pursue a Marketing role at a Fashion/Beauty company. Here are three lessons I want to pass on to anyone thinking about pursuing a similar path. I still remember what a classmate said to me as we tried to navigate the perils of Spring recruiting; ‘We didn’t come to business school to do what everyone is doing, we came to pursue what we wanted to do’. Business school is such a great opportunity to pursue a different career path, it would be unfair to yourself to not pursue your dream. In the Spring it can feel like all your friends have their internships sorted, but remember you are not alone – there are still so many people in the same position as you. Lean on each other for support and guidance. I am so happy I stuck to my goals of what I wanted to recruit for. I know I wouldn’t have enjoyed my summer internship as much had I done what everyone else was doing. Start-ups almost always have more work than people to support the work. Therefore, the environments can often seem chaotic and disorganized. This is where all the frameworks we are taught in our MBA are really useful and really valued. This summer I have helped to develop the marketing plan (using 4Ps), develop the overall firm strategy (thanks Prof. Marciano) and have even deployed some of the people management frameworks from Leadership in Organizations. In developing these strategies, I have seen the value of what I have learnt in the classroom and it has been very exciting to bring it to workplace. Although this summer I was hired as a Marketing intern responsible for building the data analytics capability, I have also had the opportunity to be a product manager, brand strategist, and project manager. I have learnt so much from wearing these multiple hats and this is only possible in a start-up. I now have a more well -rounded skillset and have a clearer idea of which types of roles I would enjoy. In conclusion, I have really enjoyed my summer internship, so much so that I am considering staying on in the Fall. Don’t forget to enjoy this period in your life – such a rare opportunity you get to try something for three months! 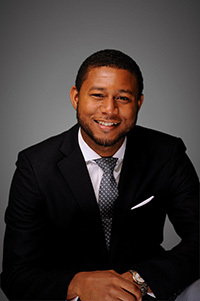 Anthony Russ is a rising MBA2 interning at Ernst & Young. 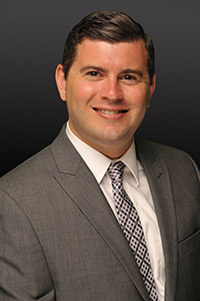 Anthony is specializing in Business Analytics, Management of Technology & Operations, and Strategy. January 28th, 2018: two days after my final round interview with EY’s OTS practice. The Philadelphia Eagles were 1 week away from winning the Super Bowl and on a bye, so there was nothing to distract me from my incessant worrying about how my interviews went. Before going to bed, I did one final check of my emails and . . . 1 unread email from EY. Could this be it? Is . . . could it be the culmination of recruiting season. YES! Although I had two more final round interviews scheduled for the following week, I knew that I was going to accept EY’s offer to join the OTS practice for the summer. 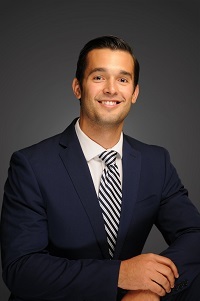 The practice offered everything I was looking for in an internship – an entrepreneurially minded culture, the ability to learn the operations of a company inside and out, and experience with M&A. Needless to say, I was a happy man. Fast forward to May 30th, day 1 of my summer. I was assigned to a Working Capital project for a global life sciences company. On one hand, I was happy to be staffed on a life sciences project. On the other, I was expecting an M&A project but instead was placed on a Working Capital project. While familiar with the concept of working capital, I knew very little about what a working capital project was for EY. After meeting my team and learning about our project, my trepidation turned into excitement. The project was focused on optimizing the clients’ Working Capital (I LOVE optimization work) and my team seemed like an ideal group to learn from due to their experience and personality. Thankfully my first impression was correct. My teammates have been more than willing to answer any questions I have had (and there were a lot), but most importantly, they have trusted me in front of the client once I proved I was capable. For a summer intern new to consulting, that was a huge confidence boost. An after-work outing with EY colleagues. So, what did I actually DO this summer? Great question. In ~10 weeks I: worked on a proposal to win our practice new work, assisted in the buildout of an accounts receivable assessment tool for our client, built a Working Capital benchmarking tool now being used practice-wide for business development efforts, built a supplier management tool being implemented globally with our client, and recommended an MBA recruiting strategy for OTS’s IT vertical. I also got VERY familiar with Excel, Alteryx, and Tableau – 3 practical skills that will no doubt be useful in the future. Ironically for a consulting internship, I have only made 10 slides in PowerPoint . . . but I promise they were good slides! I can honestly say that I never expected to be exposed to so much during my summer internship, nor expected that I would learn so much in such a short period of time. I focused most of my recruiting energy in the fall on the pursuit of a consulting internship and was fortunate enough to land my top choice. I pursued consulting because I wanted a role that would consistently challenge me, a role that put me in a near-constant state of learning, and a role where I was a member of a team. My experience this summer provided all of those things. For those incoming MBA’s who may still be unsure of what roles they want to pursue, or whether consulting is right for them, I implore you to attend as many recruiting events this fall as you can and talk to as many people as you can. 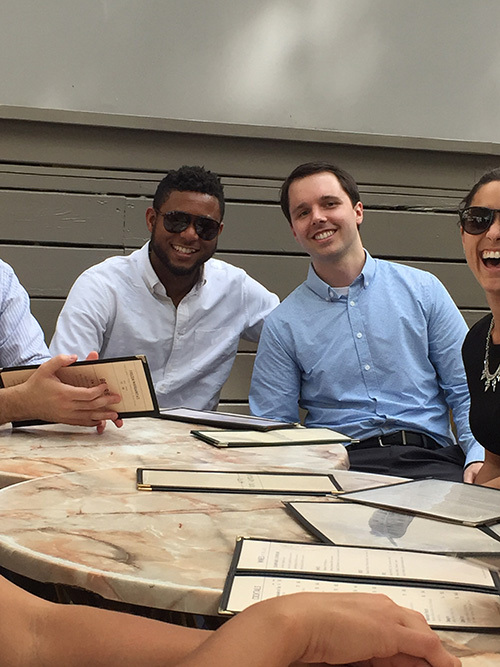 One of the biggest benefits of attending Stern is the network. 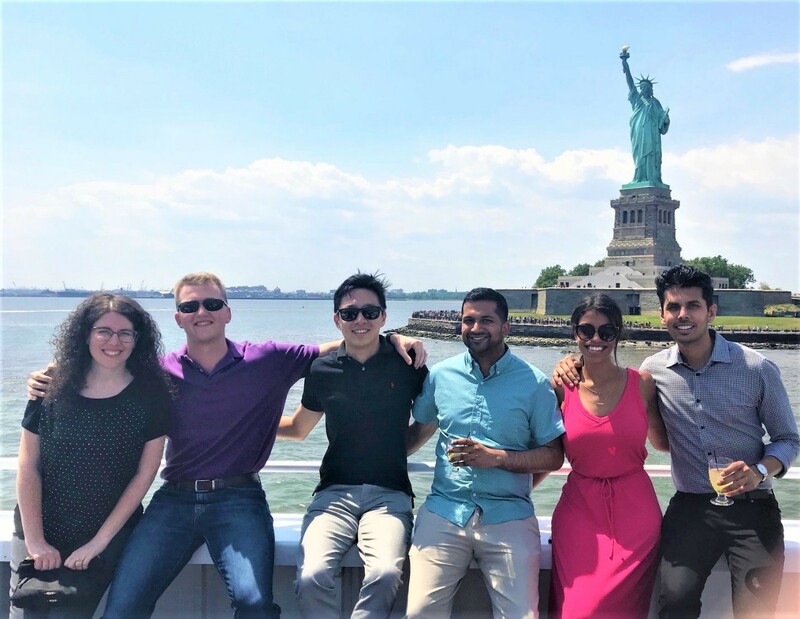 Do not be shy, and utilize that network to connect with alumni working full-time in your industry of interest, with MBA 2’s who had great summer experiences in your industry of choice, and even MBA 2’s who may not have had great experiences during the summer. Each of those perspectives will be important to hear, and will help you decide what internship you want to pursue. 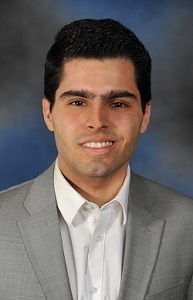 Adam Shapiro is a rising MBA2 interning at IBM. 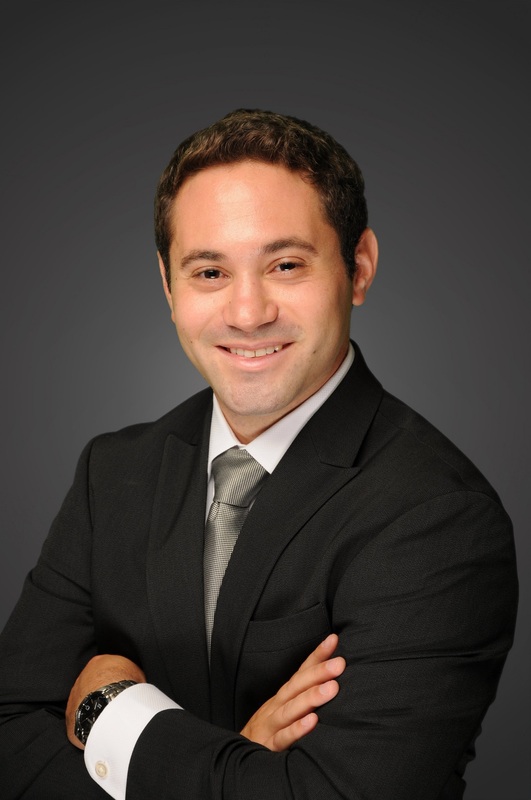 Adam is specializing in Strategy, Finance, and Entrepreneurship. As I first began considering an MBA, my professional goals and ambitions were very clear: I wanted to transition into the strategy consulting industry. I wanted to pursue a career in consulting so that I could continue to work with clients to solve their most complex questions, issues, and problems. 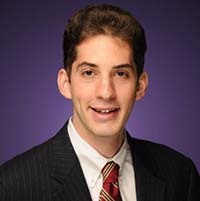 Prior to beginning my MBA at Stern, I worked for Bloomberg in an Internal Strategy capacity. During my five years there, I worked with financial clients ranging from CEOs to members of HR to manage and solve sophisticated and demanding problems firms face. In doing so, I came to value and embody certain qualities that I believe make the best business leaders: the ability to take initiative, to lead others successfully, to follow through on commitments, and to achieve objectives in a timely fashion. Equally important, I also gained an innate curiosity, a desire and need to learn, and an ability to ask thoughtful questions, listen to and respect others, and understand the complexity of challenges facing businesses. All of these qualities are personified by people working on consulting engagements. I believed that the consulting industry would advance my personal and career development by working with clients to create a lasting business impact, to craft actionable business plans, and to target opportunities for growth. 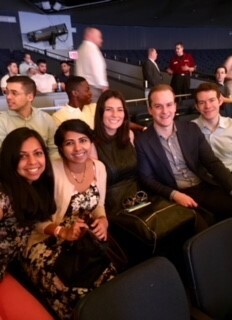 When I actually began my MBA a little over one year ago, I began recruiting for a summer internship in consulting as early as Stern’s Office of Career Development (OCD) allowed the firms to come to campus. As I listened to corporate presentations and engaged with practitioners at the different firms, I began to have a better understanding of the differences amongst the firms and, if given the choice, the type of client engagements I wanted to work on during the summer. The combination of my past work experience in Fintech at Bloomberg, countless conversations with current students, Stern alumni, and consultants, and classes I was taking allowed me to realize I actually wanted to work at a firm with a significant digital presence. It is hard to believe, but I am, now, over halfway through my summer internship at IBM in the Digital Strategy and iX consulting group. IBM DS appealed to me because of the group’s unique value proposition. IBM combines traditional strategic analysis with creative ideation to uncover non-linear opportunities and direct opportunities for clients. By designing progressive digital strategies through innovation and data analytics, creating future-shaping experience through design, and putting customer platforms to work, I have been able to learn important skills and add value on client engagements throughout the entire summer internship. I could not have imagined a better summer experience as I have already been able to work on projects such as: reinventing the customer experience journey for a large travel and leisure company, infusing digital into multiple portfolio companies of a large private equity firm, and creating a roadmap for increased data utilization and monetization at a large asset management firm. My time at IBM this summer has taught me a lot and I’m thrilled that I am exploring this career path. If you’re considering making a change to enter consulting, from where I sit, Stern is a great place for you to make it happen. 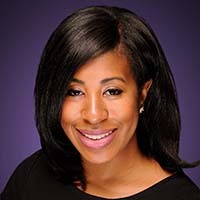 Jasmine Reliford is a rising MBA2 interning at Mastercard this summer. 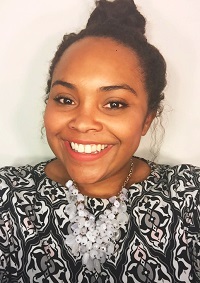 She is a Consortium Fellow, serves on the Community Service Committee within Stern Student Government (SGov), and is the VP of Admissions for the Social Impact and Sustainability Association (SISA) and the VP of Corporate Relations for the Association of Hispanic and Black Business Students (AHBBS). For as long as I can remember, I have been driven by the force to do “good”. This drive comes from my 12 years as a Girl Scout—there are stories my mom could tell you of kindergarten Jasmine boxing up her Christmas gifts and birthday presents to donate them to the children’s hospital or the homeless shelter (a tendency that I continue to this day). This innate drive to change the world around me is all consuming, yet has evolved over time. I have become more sophisticated and tactical in how I hope to enact change in the world. It is estimated that it will cost up to $70 Trillion to achieve the Sustainability Development Goals (SDGs) set by the UN. The capital throughout the private and government sector far surpasses that of the social sector. A social impact person going to a top finance program always results in a “oh that’s interesting…” from those who do not understand the ethos of Stern or how businesses are evolving. In my Stern application, I spoke of the allocation of capital and how it effects mobility out of poverty, access to healthcare and education, and so many more other causes I am passionate about. The landscape of how players are engaging with the communities they operate in is changing; defining CSR initiatives such that they are integrated into bottom line results is top of mind for a lot of corporations. Balancing altruism and monetization could be viewed as opposing philosophies, but learning how to meld them into a cohesive strategy is why I chose Stern. A social mindset is instilled in you the first week of LAUNCH—former investment bankers, consultants, and marketers rally to determine a sustainable business solution that solves a societal need. This push to think creatively towards not only business issues but world issues is the embodiment of Stern. The products and business models that are emerging are shifting the way businesses, governments and society all come together to uplift every facet of humanity. When I see innovations such as Rent the Runway and Lyft, I see disruptors forcing their industries to move towards sustainable fashion and how to provide gig workers a way to engage in commerce in a way never done before. Stern is a space where ideas come together to create the future world around us. 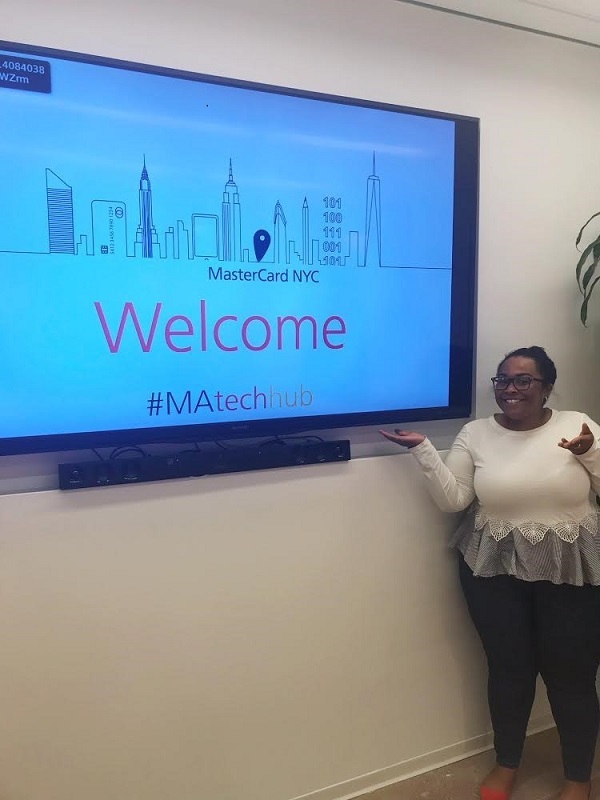 I chose Mastercard for my internship because of my background in payments, the Stern network throughout the firm, and, most importantly, because of their commitment to financial inclusion. They have dedicated resources and expertise on focusing on how to bring the poorest people around the world into the economy through payment systems, blockchain solutions, healthcare innovations, and startup capital. An EVP, and Stern Alum, once described the CEO as a “social justice warrior working in the private sector”. Between that description and a Mastercard campaign with Beyoncé, I was sold for my summer internship. Few for-profit organizations have integrated social considerations in to their strategy so intricately. For Mastercard, doing well by doing good is more than a tagline, it is literally a way of life for small (or micro) merchants and entrepreneurs who historically had challenges accessing capital and engaging in commerce; you cannot capitalize on the internet of everything if the financial system does not include everyone. Mastercard is among the leading firms to merge altruism within their business model. I am grateful I get to intern for a company that is continuing to innovate in a way that this former Girl Scout can get behind. 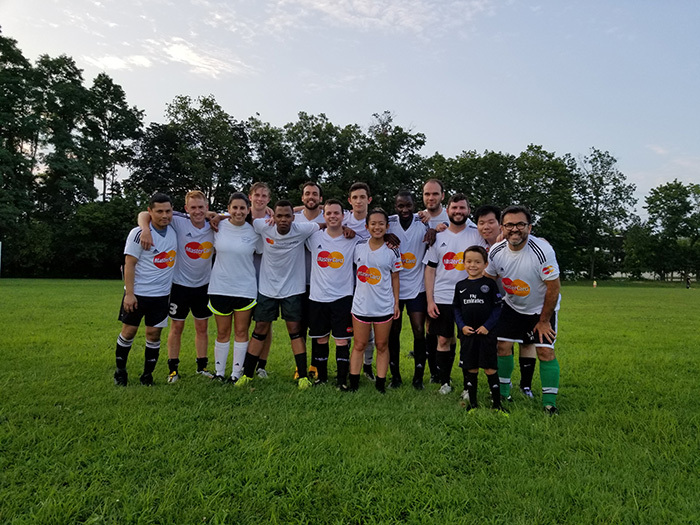 The leadership of Mastercard believes doing well by doing good is the future of business—and it is. 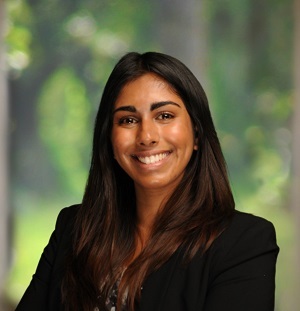 Urboshi Pal is a rising MBA2 interning at PricewaterhouseCoopers. 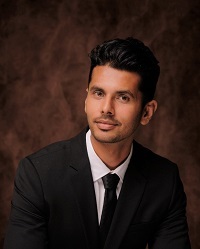 At Stern, Urboshi is specializing in Strategy and Leadership & Change Management. 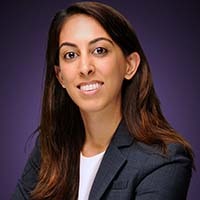 Outside of classes, she leads Stern Women in Business (SWIB) as one of the 2018-2019 Co-Presidents and is also a Graduate Ambassador on the MBA Admissions team. It’s Monday morning, and I’m finishing up my last few sips of coffee before heading out the door for the week. I tuck my heels into the front pocket of my suitcase and slip on my comfy flats for travel. With my Amtrak app pulled up on my phone in one hand and my Metrocard ready to go in the other, I take one quick look around the apartment before closing the door behind me. By now, I’ve got down the most efficient route to Penn Station from my apartment, so in a matter of 20 minutes, I’m walking onto the train and settling in for a quick ride to Trenton, NJ…welcome to the consulting commute! 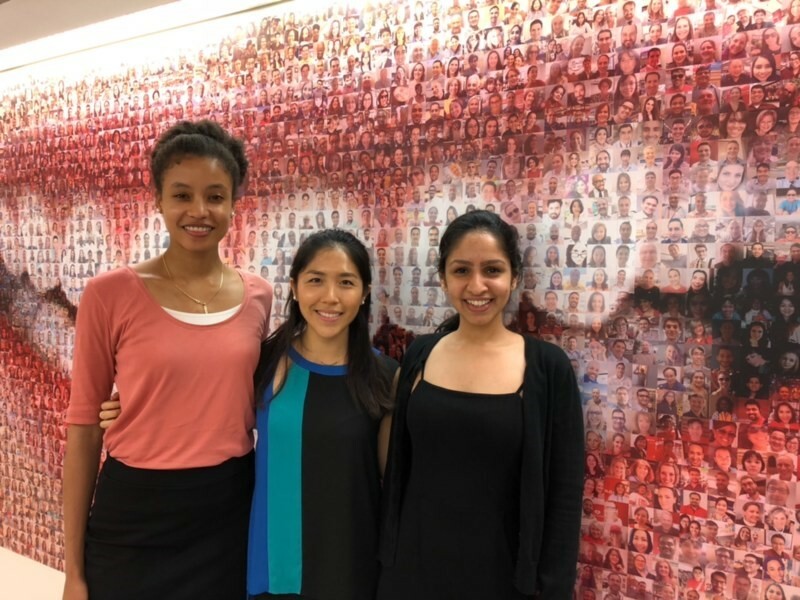 This summer, I’ve been working as a Senior Associate Intern at PricewaterhouseCoopers (“PwC”) in their People & Organization Practice within Health Industries Advisory. PwC is a multinational professional services firm that offers its clients a broad range of assurance, tax, and advisory services. Within Advisory, there are five major industries: Consumer Markets, Industrial Products and Services, Technology, Media and Telecommunications, Financial Services, and Health Industries. Cutting across each industry are practices specializing in specific consulting capabilities, like People & Organization. Health Industries Advisory People & Organization, or HIA P&O for short, focuses on strategy, human capital and talent management, and change consulting projects for clients across the healthcare industry. 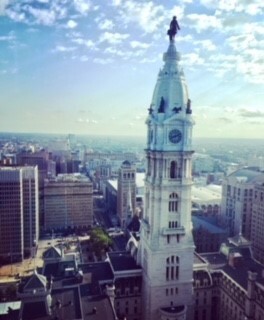 I’ve been traveling each week to our client’s offices outside of Philadelphia to work on the change management work stream of a large-scale technology transformation. As an MBA intern, I’m expected to own my work from Day 1, making for an especially engaging and productive experience. It’s been really interesting to see real-world applications of concepts and theories we’ve discussed in the classroom. In particular, I see lots of parallels in my client work to cases we’ve discussed in Leadership in Organizations with Nathan Pettit and Strategy with Sonia Marciano. I feel that I’m able to contribute a unique perspective to my team as a result and hopefully add value to the overall work stream during my short tenure on the project. While it was certainly an adjustment as first, I’ve fallen into a comfortable routine with the Monday-Thursday travel. I’m typically at our client’s offices from 8:30 AM – 6:00 PM, and I stay at a nearby hotel during the week. We usually sneak in a team dinner or two and leave the other evenings open for working out, relaxing, or catching up on non-client work. I return to NYC on Thursday evening and spend my Fridays in PwC’s newly renovated offices by Bryant Park. After checking in with my client team to make sure we’re squared away on work for the week, I catch up with some of other NYC-based HIA P&O folks and listen in to our practice-wide knowledge sharing and development calls. 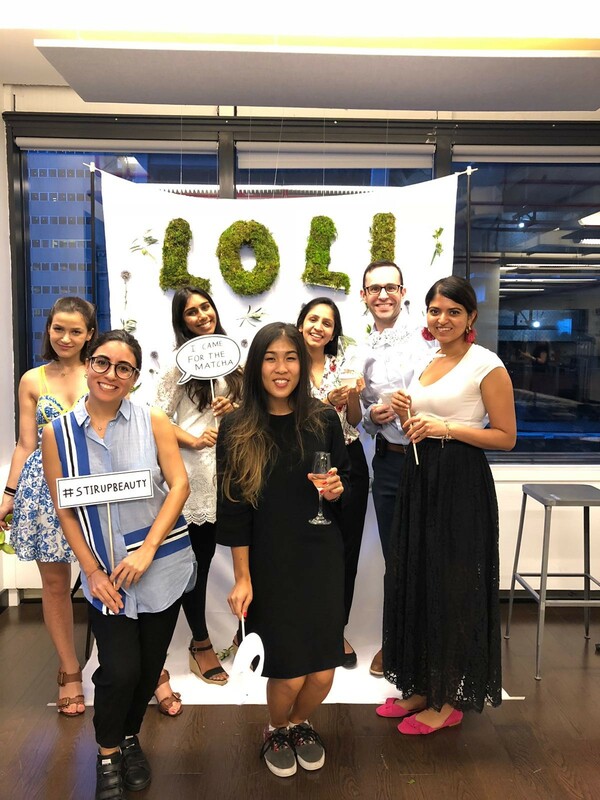 There are 15 Sternies at PwC this summer, so it’s also been great to learn about the different projects everyone is working on over drinks or dinner at the end of the week. Celebrating with the HIA P&O team at PwC’s Promotion Day . . . If you’re interested in consulting as a post-MBA career, I’m sure you’ve already heard the standard recruiting advice: start doing cases early and frequently, reach out to lots of consultants at your target firms, attend every firm-sponsored event, etc. While all of that is definitely important in making sure you’re prepared to do your best at the interview, it doesn’t really help you make the most of the summer once you’re in. My advice is to use the recruiting process to find the firm that’s the best cultural fit and be true to yourself about what’s most important to you. Consulting is a challenging yet incredibly rewarding lifestyle. By finding people you feel comfortable with and values that resonate with you, you’ll position yourself to take advantage of all that a top consulting firm has to offer, and hopefully have some fun along the way! 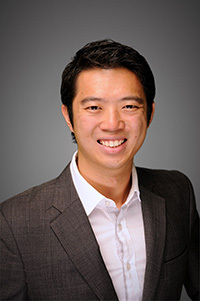 Evan Foo is a rising MBA2 and interning at Macquarie this summer. 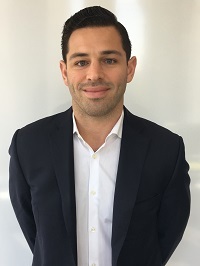 He is specializing in Finance and Leadership & Change Management and is a member of the Asian Business Society, Graduate Finance Association, and the Stern Private Equity Club. Growing up, I did not imagine I would one day be working in a bank. 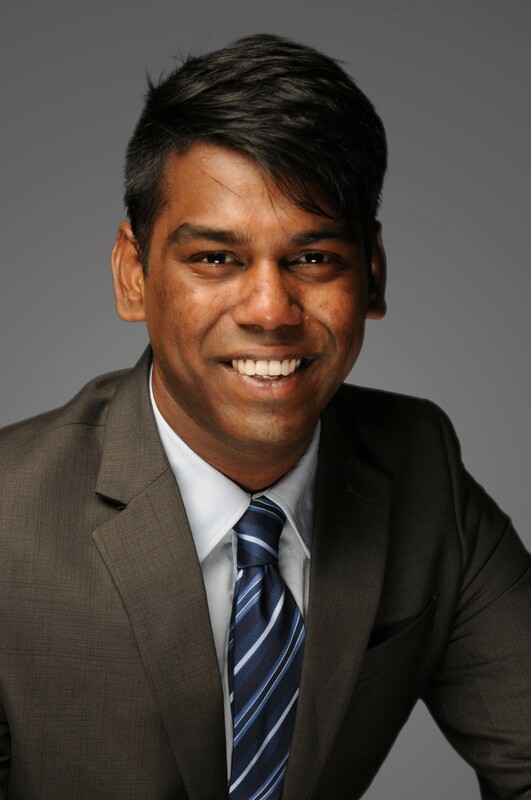 My journey has taken me from a budding entrepreneur in Silicon Valley, a venture capitalist for the Singapore government and a CEO of a wireless speaker business to becoming a student of finance at Stern and in Wall Street. Prior to Stern, I had developed a keen understanding of early stage business and finance, but wanted the complete picture of the corporate lifecycle, and resolved to learn firsthand Wall Street’s role in shaping global companies and markets. With its reputed strength in finance and location in the heart of New York City, Stern provided the perfect opportunity to make this transition. Connecting these dots in my career led to my summer in investment banking with Macquarie being an ideal platform for continued development. One of the first considerations when recruiting for investment banking is to understand the nuances of each firm, and where your fit lies. 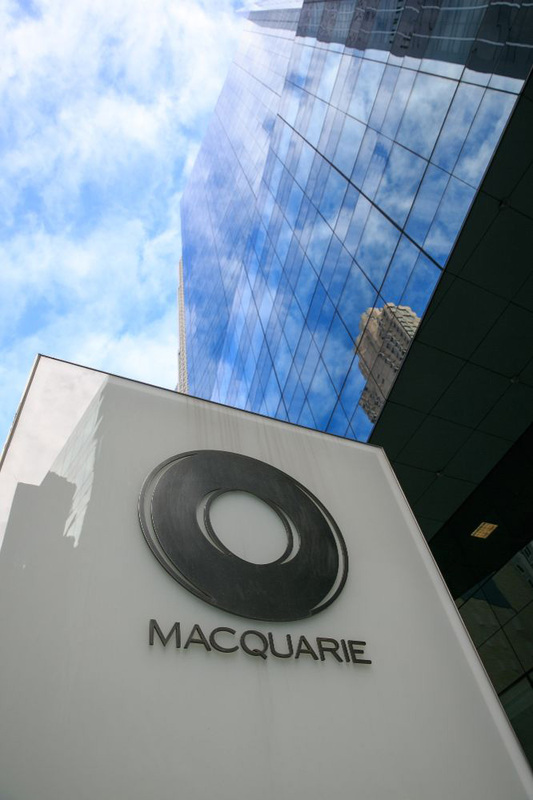 I was first attracted to Macquarie because of its unique merchant banking function, under the Principal Transactions Group (PTG). Macquarie not only provided transaction advice and debt financing, but could also use its balance sheet to make equity investments in companies. Macquarie thus offered the best of both worlds and slightly more. The stability and resources of a bulge bracket bank, the work experience of a boutique (through leaner deal teams) and the ability to forge unique relationships with clients and sponsors. The second is to determine what you want from your summer experience. 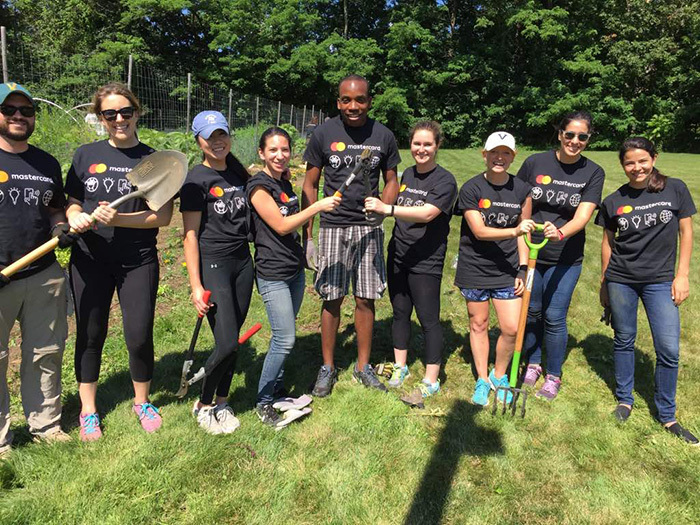 The leaner teams at Macquarie provided the hands-on experiences I was looking for. Being able to work directly with Managing Directors, build models and interact with clients were big draws for me. Having gotten along well with the bankers from the firm and demonstrated technical competency for the job, I was offered a summer associate role in the Financial Institutions Group (FIG). The managing director of the fintech team was from Stern, and I looked forward to working with him. Walking past the revolving doors for the first time, tales of endless summer work and play from predecessors set the foundation on which expectation was built. My peers comprised of former investment managers, bankers, models, and engineers, yet everyone started on a level playing field during the first week of training. Soon we would be caught up in the whirlwind of work, volunteering, baseball games, charity runs and summer outings to managing directors’ homes, all of which presented various aspects of life in the industry. Staffers (typically Vice Presidents in charge of assigning projects and managing work flow within a group) protected our time for such events that not only provided reprieve from work but also an opportunity to deepen relationships with colleagues outside the work environment. Playing soccer with colleagues before dipping into the pool on a hot summer day was a personal highlight. All in a day’s work. 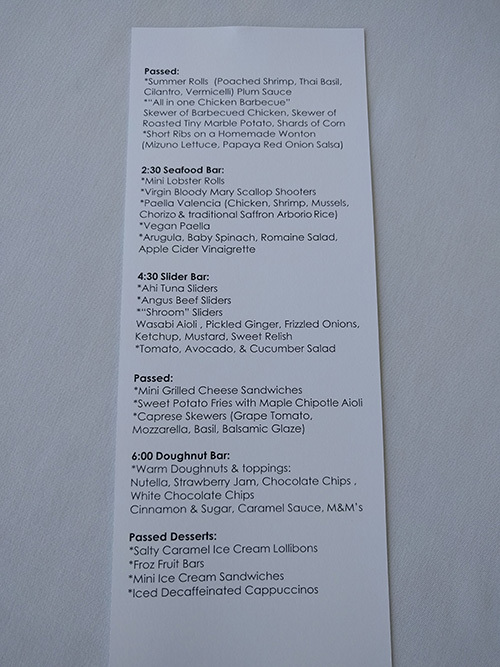 Food menu from a summer party. The workspace was aptly called the bullpen, the arena where everyone sat, from analysts to managing directors. Observing first-hand how a managing director operates and manages clients daily was already a key learning point for me. My day-to-day responsibilities throughout the internship would evolve from due diligence and industry research to managing analysts, building financial models, and co-leading a cross-border buy-side deal. The buy-side transaction offered the deal experience I had so desired, as I was involved in a critical stage of the deal and worked directly with a managing director. Another project with the PTG team was a welcomed bonus and it provided additional exposure across groups. Walking past the revolving doors for the last time, it was comforting to know my contributions were appreciated and recognized by my team. Our buy-side progressing to the final phase made all the hard work pay off. Make no mistake about it, investment banking is a demanding job, the people we work with and the contacts we can call on make all the difference. 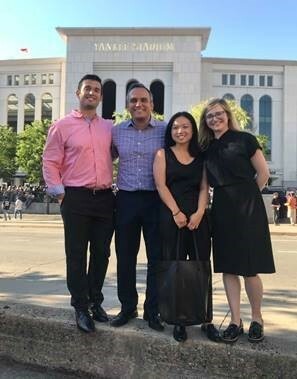 I am therefore very thankful for the support provided by the Stern banking community in my group, firm, cohort, and across Wall Street, that has helped define my recruiting process and summer experience. In the same way, I hope to pay it forward. 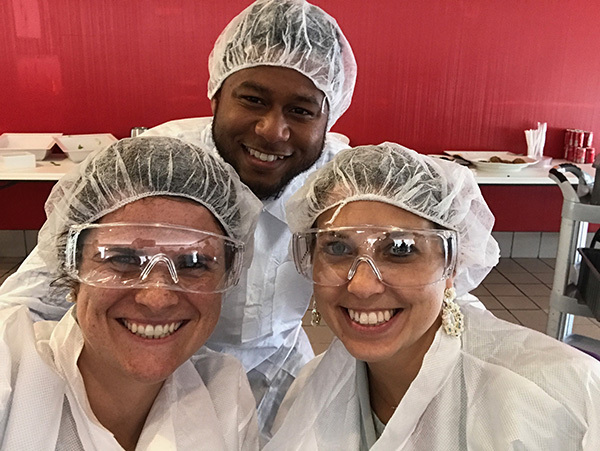 Francois Anderson is a rising MBA2 and interning at Colgate-Palmolive this summer. 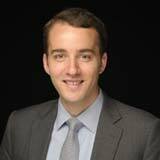 He is specializing in Marketing and Strategy and is a member of the Graduate Marketing Association and Stern Speaks. This summer, I was an intern at Colgate-Palmolive, a global household and consumer products company that is headquartered in New York City. The NYC location was one of my main attractions to the company. Having lived in NYC for the past 9 years, this city has become my home. Though I am open to idea of moving for job opportunities, I am not ready to leave NYC. Therefore, an internship in the city was important to me. Beyond the company’s location, it was also important for me to work at a global company since the world in which we live is becoming more and more globalized. I got to know Colgate-Palmolive through corporate presentations, company visits, and conversations with several employees at the company. I loved the company’s emphasis on teamwork and collaboration. Most important, throughout the entire recruiting process with the company, I was convinced that it was the right fit for me. Therefore, I relished the opportunity to work at Colgate-Palmolive for the summer. 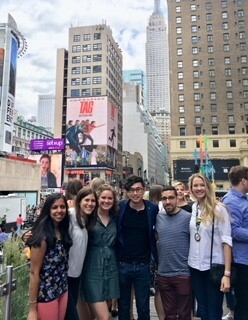 This summer, I worked specifically in Colgate Oral Pharmaceuticals North America (COP), a subsidiary of Colgate-Palmolive whose mission is to drive active brand recommendations to grow consumer sales and drive sales for prescription and over-the-counter products, as well as in-office products. In this exciting mission for COP, I learned how to develop strategic plans that will help to drive the fluoride category and increase penetration in dental offices. I also learned how to put in place tactical initiatives that will help drive sales and prescription. My main summer project was to ideate, develop, and implement the 5Ps strategy for PreviDent varnish in the US. Working with various cross-functional teams, I was tasked with developing a more comprehensive pricing scheme for our offerings and creating strategies for product innovation cross-category promotions to drive sales, specifically within pediatric offices. I also worked on developing new communication to be more appealing and relevant to pediatric patients. Finally, I created strategies to expand our distribution within and beyond dental offices. I applied lessons from my MBA coursework to successfully execute my summer project. Classes that helped me prepare for my summer internship included Marketing, Strategy, Brand Strategy, and Marketing Planning and Strategy. Though this class list is not exhaustive, these classes helped me develop the critical and analytical skills and the overall confidence needed to be successful in my summer internship. They helped me frame issues and tasks within the context of the larger goals of the department and company, which helped to maintain a certain level of focus when developing strategies. Beyond coursework, GMA’s Mock Madness prepared me well, not only for the interview process, but also for the summer internship. Mock Madness is a week-long intensive interview prep series where students drill each other on interview questions and offer open and honest feedback on areas of improvement. The knowledge and skills I developed in Mock Madness enabled me to quickly understand what was required of me to be successful within the internship. As I reflect upon the summer, I am happy to say that my internship experience was a successful one. 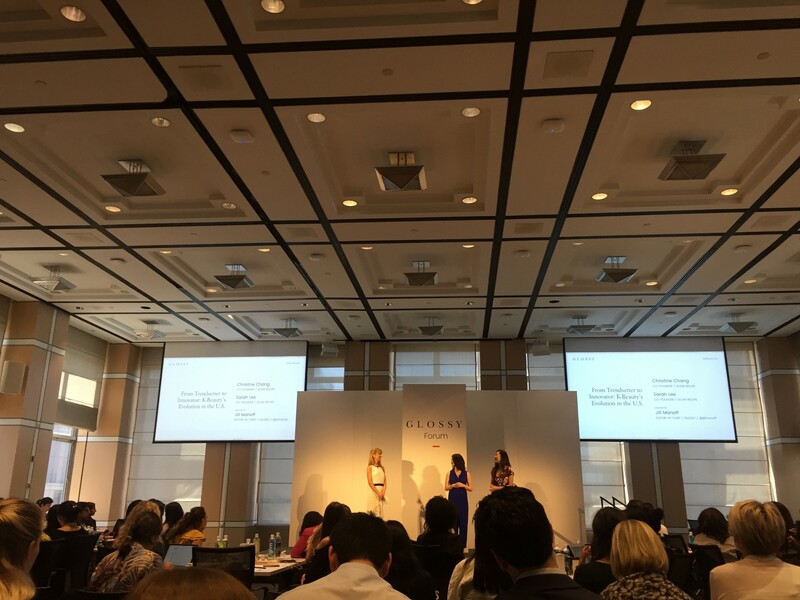 My experience exceeded my expectations and I am happy to have interned at Colgate-Palmolive. I was also adequately prepared for the internship, thanks to my Stern coursework and GMA.